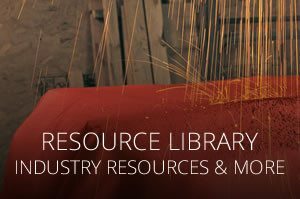 Almost all items are available for immediate download as Acrobat PDF. 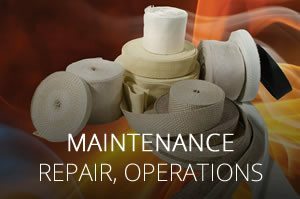 If you don’t find what you need, please contact us. 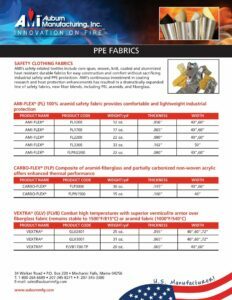 AMI’s PPE Textile Products At-A-Glance tables showcases AMI’s safety-related textile products as well as our aluminized fabrics. 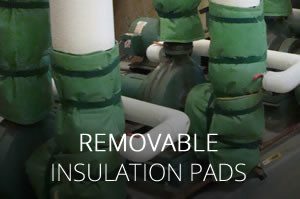 2 sided document. 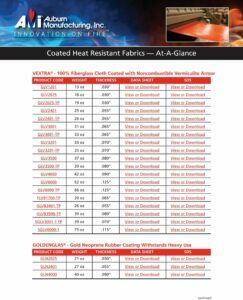 Quick, 2-page flyer that addresses the the capabilities of our innovation team and numerous capabilities that enables us to design and produce high performance, high- temperature resistant fabrics and composites for standard and custom applications. 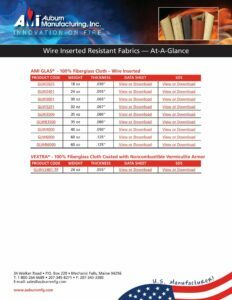 AMI’s Wire Inserted Heat Resistant Textiles At-A-Glance table allows you to review the various offerings, and link to specific product information, data pages and safety data sheets all from one location. 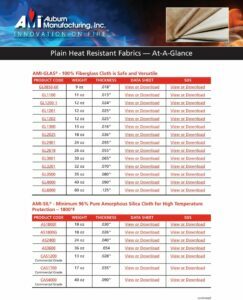 AMI’s Coated Heat Resistant Textiles At-A-Glance table allows you to review the various offerings, and link to specific product information, data pages and safety data sheets all from one location. 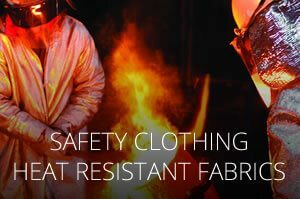 AMI’s Plain Heat Resistant Textiles At-A-Glance table allows you to review the various offerings, and link to specific product information, data pages and safety data sheets all from one location. 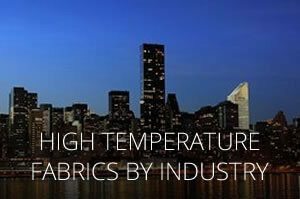 This guide contains all the sizes, weights, temperature resistance and other specific properties you need to select the right AMI high performance textiles for your application. 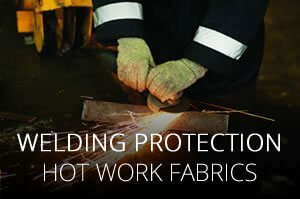 Disponible en español. 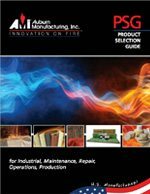 Complete brochure that showcases AMI heat resistant textiles such as Aramid- Based fabrics, PBI/Aramid Blend fabrics, Carbonized Composite fabrics, Silica fabrics, Extreme Barrier fabrics, Aluminized fabrics and specialty coated fabrics for heavy-duty PPE heat protection, and extreme heat applications found in foundries, glass making, oil refining, transportation, chemical manufacturing, power generation, pyrotechnic entertainment and other end users with heat intensive processes. 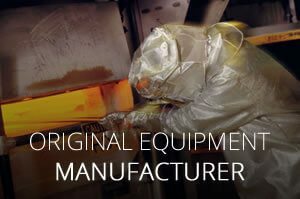 Disponible en español. 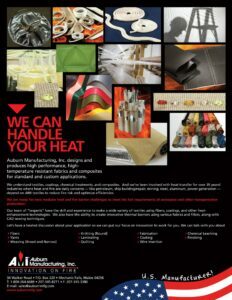 In business since 1979, Auburn Manufacturing, Inc. (AMI) has become one of North America’s leading developers, manufacturers and marketers of fire and heat-resistant textiles for almost every major industry – primary metals, petroleum, chemicals, glass, paper, power generating, construction and transportation – wherever heat protection is required.